Any one who went to school in New England is very familiar with Plymouth, MA. It is home to the first permanent European settlement in what would become the United States. While the settlers initially intended on building their colony on the Hudson river, their plans changed due to a variety of factors including the fact that they were running low on beer. Beer was crucial for long travel by sea. Water stored on a ship was prone to bacterial contamination, but the alcohol in beer kept away the strains of bacteria that could make people sick. Beer became a staple and ironically the main source of hydration. And with the addition of hops acting as a natural preservative, an important way to store calories. It is fitting that a brewery based in Plymouth, MA, is named for the famous ship that brought the Pilgrams to the New World. Mayflower Brewing Company was founded by the tenth great grandson of John Alden, the cooper on the Mayflower who built the barrels to store the beer supply for the colony. Mayflower makes a series of year-round and seasonal English style ales. All of Mayflower’s beers focus on traditional ingredients, styles and names. No crazy adjuncts are added to the brews and all of the beers are named for their style and/or season. 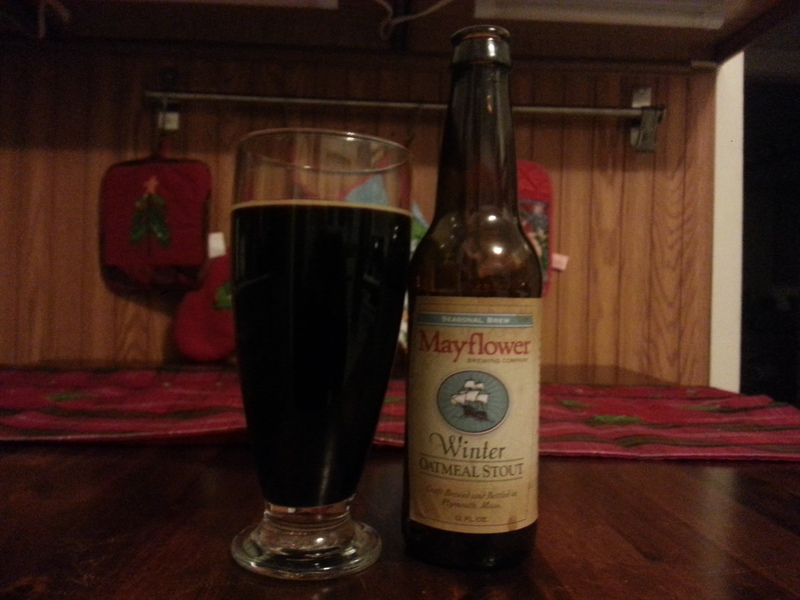 Mayflower’s Winter seasonal is an oatmeal stout brewed with three varieties of oats and several types of dark malt. Mayflower Winter Oatmeal Stout pours cola brown with a small khaki-colored head. The smell is all dark malts, touches of chocolate, roasted barley and coffee. The taste is also very malt forward, milk chocolate and roasted barley predominate followed by cappuccino, molasses and roasted nuts. There is a touch of hop bitterness in the background, but this is a very malt-forward beer. The mouthfeel is very thick, the oats tend to add a lot of body to a stout. Mayflower Winter Oatmeal Stout weighs in at 6.0% ABV, solid but not overdone, and it goes down smooth. The beer finishes clean with a touch of lingering malt sweetness. This is a great beer for a cold winter night, it pairs perfectly with hearty winter stews and braises. 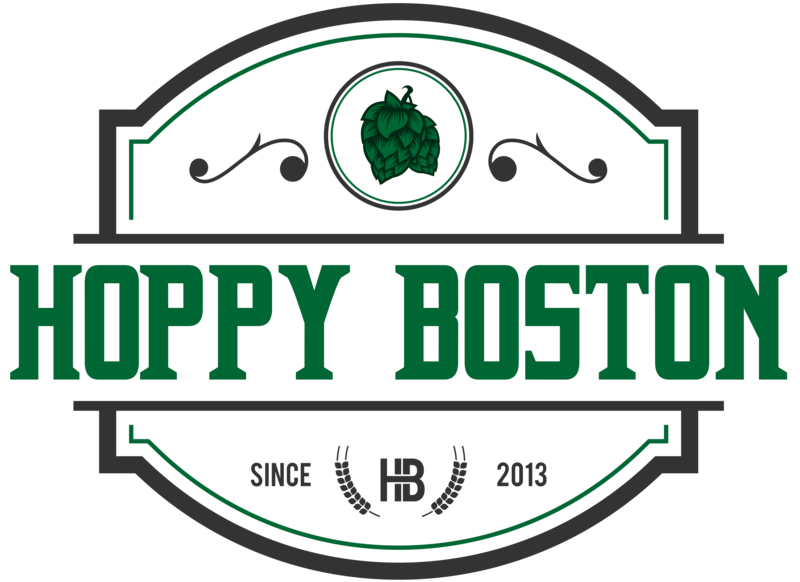 Hoppy Boston score 4.25/5.